With risk-aversion, prior investments and a misaligned payment system standing in the way, how can we bring about true transformation? 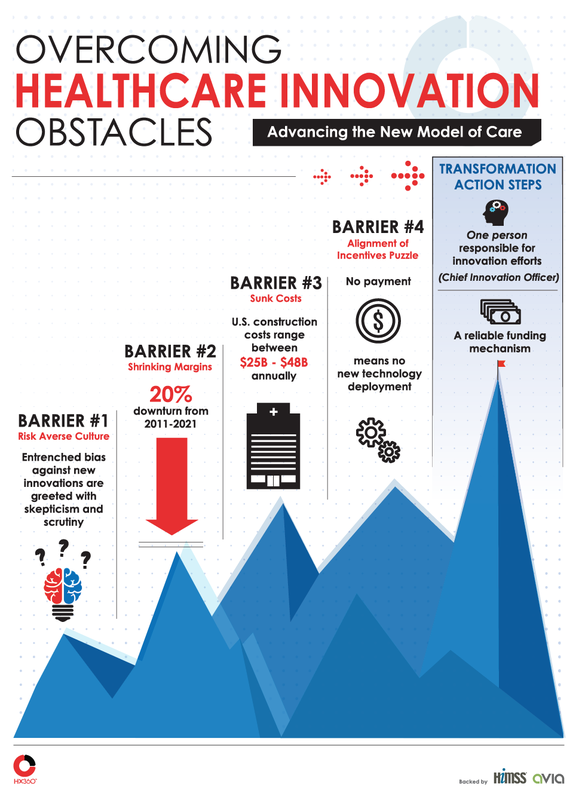 In this infographic and complimentary HX360 Innovation Insights whitepaper, I explore these challenges and what we can do to overcome them. W. Roy Smythe is the chief executive officer of HX360 and chief medical officer for Chicago-based Valence Health. Connect with him on Twitter @willsmythemd.